Chat platform Kik will launch its Kin token, delivering the basis for a decentralized ecosystem of digital services. Chat platform Kik has revealed that it is launching its Kin token that will deliver the basis for a decentralized ecosystem of digital services. Ontario-based chat platform Kik, which has over 300 million active users registered worldwide, including around 40 percent of American teens, has announced today that it is launching its Kin token, a digital currency that will provide a foundation for a decentralized ecosystem of digital services. Today's technology has meant that it is impossible not to stay connected with friends and family worldwide with many using messaging apps to do so. So much so, that by 2019 more than one-quarter of the world's 7.5 billion population will be using messaging apps, according to data from eMarketer. Aside from being a cheaper alternative to SMS and MMS, messaging apps are big business that offer a slew of functions: group chats, gaming, GIFs, videos, stickers, emojis, photos and in-built web pages. Not only that, but a majority of messaging apps users are young, which is an extremely important demographic for messaging apps. Kik believes that through its token it can bring together the areas of communications, information and commerce in a new way that will fuel how today's generation and future ones will connect. Founded in 2009, Kik was the first chat app that went viral in 2010 from zero to one million users in 15 days. Since then the company has continued to meet the innovation space by becoming the first chat app to become a platform in 2011 before establishing itself as the first app within the Western world to add bots in 2014. Now, Kik is the first chat app to add its own digital currency. Speaking to Bitcoin Magazine, Ted Livingston, Kik's CEO said that the main motivation for launching their Kin token, which comes from the word “kinship,” came down to two main insights: digital services, which are becoming more important to our daily lives, and the fact that these services are being owned and controlled by fewer and fewer companies. This, in turn, is bringing about less innovation and choice. According to Livingston, this centralization is the result of both economics and competition. "From an economic side, it's very hard for independent developers, including companies as big as Kik, to monetize," he said. "There are a few companies that have huge scale that use that scale to monetize their advertising." Livingston adds that, when these bigger companies monetize their advertising, they then give everything else away for free. This means that for independent digital services who don't bring in enough money through advertising, they live in a world where these giants have set the expectations where everything should be free. "As a result, it's very hard for all these digital services to monetize," Livingston adds. "Those that do, these giants then turn to a copy-and-crush strategy where they take all the ideas from the players, copy it and use their much larger resources to crush the other competitors who do make it." 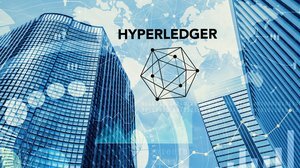 As a result, Livingston states that now is the right time to put forward an alternative ecosystem of digital services that isn't just open, but through digital currencies and decentralization, better. By launching their Kin token, Kik is attempting to set up a new economic system that can monetize digital services and deliver a new way to compete together with the larger companies. Through the advanced developments in digital currencies and the blockchain, Kik is planning on creating a decentralized ecosystem of digital services through four steps: creating the Kin token on Ethereum, integrating Kin into Kik, developing the Kin Rewards Engine and launching the Kin Foundation. Implemented on the Ethereum blockchain as an ERC20 token, Kin will serve as the basis of interoperability for all transactions within the Kin ecosystem. By adopting the token within the Kik app, it's hoped that millions of users will facilitate widespread adoption of Kin, establishing demand and value for the cryptocurrency. 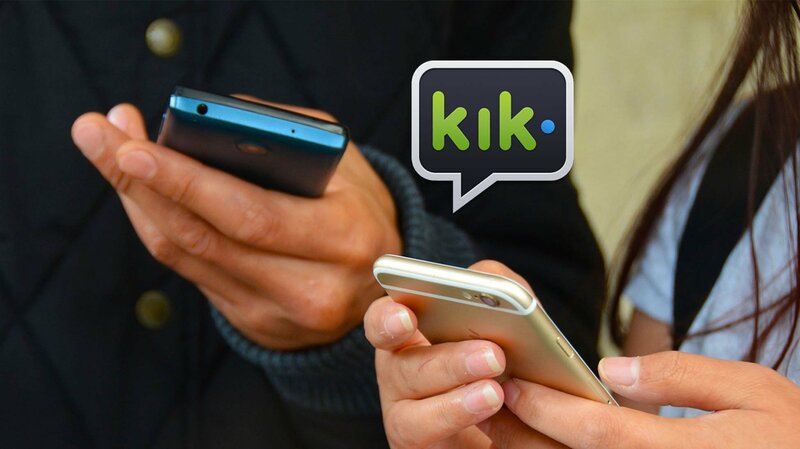 In preparation for the eventual launch of Kin, Kik has been experimenting with the integration of a cryptocurrency on its platform since 2014. "In 2014, we launched an experiment called Kik Coins and the question we were trying to answer was: Could we get millions of everyday consumers earning and spending natively in a digital currency?" Livingston said. "The result is that we created a transaction volume that was three times better than Bitcoin's global transaction volume at the time." Kik also realized that the best way for consumers to understand cryptocurrency was for them to earn it through digital services like Kik. "The biggest flaw with all the other cryptocurrencies is that nobody gets their paycheck in that cryptocurrency; the only way to get it is to buy it, for 99.99 percent of people," he added. "This is where teenagers are another big asset for Kik in that they don't have a ton of spending power and this is a way to earn that spending power by offering value inside the community itself." Over time, Livingston explained, there will be various ways that users can earn Kin. One of the examples he gives is through exclusive group chats by charging an entrance fee with Kin to then spend within the Kik ecosystem. Kik is planning on starting a crowdsale where the amount of Kin tokens available will be $1 trillion. However, the majority of the Kin will be set aside to form the Kin Rewards Engine. Modelled similarly to the Bitcoin mining system, the Kin Rewards Engine will release a certain amount of Kin every so often to all the developers that build digital services within the ecosystem. "Every day there will be a daily reward, which we think will start roughly at $100,000 per day," he said. "As an owner of a service, if you integrate Kin and get people transacting Kin inside your digital service, which generates 10 percent of all transactions within the ecosystem, that would entitle you to 10 percent of this daily reward." Ultimately, the more services that join the Kin ecosystem computes to more transactions that happen each day, which increases Kin's value on public exchanges and, in turn, boosts the daily reward. "It creates this amazing network effect where all these digital services work together to grow the overall value of the ecosystem," Livingston adds. "They all get a fair and equitable piece of that economic value they create, and consumers get this ecosystem of services that continues to grow in both size and quality." According to Livingston, one of the most underappreciated values of digital currencies is how much economic opportunity they can produce. For instance, he said even though they are giving away $100,000 per day, the amount of Kin available won't run out anytime soon. "If Ethereum was giving out $100,000 of Ether a day at its current $10 billion market cap, it would take them 273 years to give away all the Ether," he said. 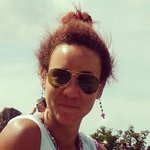 "If Bitcoin was doing it at their $30 billion market cap, they could give away $300,000 a day for 273 years, and these are both cryptocurrencies not used by mainstream consumers." As such Livingston believes that the Kin reward could easily go to $200,000, $500,000, even $1 million a day, incentivizing the creation of an open and compelling ecosystem of digital services for consumers. Through the Kin Foundation, the team are ultimately trying to achieve a decentralized system where the developer doesn't need to trust the Kin Foundation. As a nonprofit, the foundation will oversee the open and fair growth of the system where it will provide three things: it will administer the rewards system, it will offer an identity service for users to move between the digital services and it will provide a transaction service for users to earn and spend Kin in a secure and frictionless way, Livingston states. Kik is due to release their whitepaper today, at which point they expect to start working with the crypto community, which will lead to their crowdsale in the next few months.